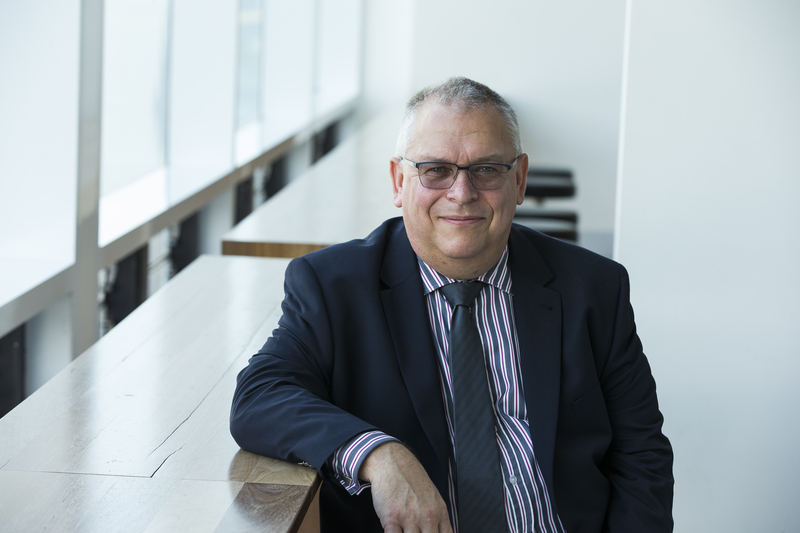 ​Rob Nicholls is a senior lecturer in the school of taxation and business law at UNSW Business School and a research fellow at the Centre for Law, Markets and Regulation. He has recently been looking at disparities in the pricing of airfares. Nicholls spoke to Julian Lorkin for BusinessThink. BusinessThink: Why is this happening? Rob Nicholls: Basically, what the airline travel agents are trying to do is find out what price you're prepared to pay. And that might be different from the price that I'm prepared to pay. If you are prepared to pay $1525 for a flight and I'm only prepared to pay $1500, I might get it for $1500 and you pay that bit extra. You've still got the price you wanted; it's just not as good as the deal that I struck. BusinessThink: Let's break this down. First, let's talk about dynamic airline pricing. This is where airlines will charge you a different price, as I understand it, according to when you book. Those people who book really early are going to be paying a lot less. Nicholls: That's right. And it's basically a model that says, "We want our aircraft to be as full as possible". The people who book early buy the cheapest seats towards the back of the plane. The people who absolutely need to go on the day but only decide the day before, pay full freight. And somewhere in-between you'll find different prices being paid both for different classes of travel, for different types of seat, and for different types of ticket. If you book early and you've got plenty of time, then you'll get a lower price. If you book late, you'll pay a higher price. And all the airlines are trying to do is fill up their planes. BusinessThink: That seems to be classic supply and demand. Obviously if demand goes up, then the price goes up. But you also have the other thing of exactly the same seat on the same flight at exactly the same time, and people are looking at the same website but maybe side-by-side with each other they're seeing a different price on the screen. That's quite odd? Nicholls: It is, but it's also using similar signals to say one person may be prepared to pay a little bit more than another. If I'm using a browser that might imply I've got an iPhone, well, that might say I'm prepared to pay a bit more than somebody who's got an Android phone. Similarly, if I make some searches that say I want to go on the 20th between 10 and 12, that says, well, I've probably got a very narrow window and so I may be able to find the online travel agents that say, "If you're prepared to go the day before, it's very cheap, or go in the afternoon it's very cheap. But the time you've chosen looks more expensive, and because that's the time you've chosen, you're probably going to be willing to pay a bit more for that time." BusinessThink: But how do they know? If I'm on the computer and I've just gone back to the website, how does the travel agency or the airline know? Nicholls: Because each time you make this inquiry on their website, you store a little bit of data called a cookie on your computer – on your computer browser, or your phone browser – and the website can look at those cookies to try and get a history of you. And it doesn't matter if you then say, "Oh, well, I'll go back and look later". If you haven't cleared your browsing history, those cookies are still there, the website can look back and say, "Hmm, looking for exactly the same flight but getting a bit more desperate now because they're looking again", and therefore the price might just jump a little bit more. BusinessThink: And I've noticed something similar as well: if you log into the airline's Frequent Flyer system and then look for a flight, the airline will suddenly charge you a little bit more according to your status. If you're Gold, it goes up; with Platinum even more. Nicholls: Yes, because you're showing loyalty so the chances are, if you've got a Platinum with one airline, deciding, "Oh, well, I'll go and book on another airline" is much, much lower. So, you have a propensity to pay, a willingness to pay, and so you're going to pay. Nicholls: It is. Price discrimination is what it's called. It's been around for ages. And we actually do it ourselves sometimes. So, for example, if you were having a garage sale, you've priced up the expensive items, you've got the junk at the front, and you are basically happy for somebody to take away the junk. But then somebody comes along and says, "Oh! It's one of those! I had one of those when I was a kid. I've always wanted one of those." And suddenly your junk is great value, it's only 10 bucks. And the person who buys it is pleased, you're pleased, but it's a very different price to the value you originally ascribed. It's what they're prepared to pay. And it's been like that forever. So there's no illegality in price discrimination of itself. It's risky though. If I'm a business that gets a reputation for charging some people more than others, people will not go to that website. I also have a risk that if I price discriminate, I might engage in real discrimination. That's illegal. If I use information such as surnames, I might say, "Well, I found that people with an Italian surname have a higher propensity to pay", well, that might end up being a form of racial discrimination and that would be illegal. The information needs to be sourced on what people are prepared to pay that is de-identified enough to avoid actual discrimination. But the reputational risk is high. If suddenly you get a really bad deal and you put on your social media pages, "I got a really bad deal from Travelco", then their reputation might be harmed. So, there is a reputational risk from a business perspective, but not a legal risk. BusinessThink: It may be illegal to discriminate in the case of somebody's surname but it's not illegal to discriminate if someone has status within a loyalty scheme: surely there's a contradiction there? Nicholls: No, because discrimination and human rights are well defined and having Platinum status, I'm afraid, does not put you into a particular group against which you can't be discriminated. As long as it's not done based on gender, based on race, or based on disability, then it's still legal. As I said, there's a reputational risk, but it's legal. BusinessThink: How can savvy customers get around this? Nicholls: Don't keep a history. There are two ways of doing this. One is to use the private mode or incognito mode when you're browsing. That will still collect cookies for the single session but when you stop that browser session and go in again, all of the cookies are gone. The second thing that you can do is just clear your browsing history. So even if you don't use the private mode, you can click to clear your browsing history and that will avoid you being known to the online travel agent. The other way which is sometimes helpful is to use an anonymous search engine. So DuckDuckGo as an alternative to Google doesn't leave the sort of breadcrumbs that online travel agencies use in order to do the price discrimination. Are balanced scorecards fit for the disruption era? Can you turn a profit in the new news landscape? Page last updated: 15/12/2018 5:12 AM Disclaimer Some pages on this website are updated dynamically on a regular basis. This may not be reflected in the ‘Last updated’ date.